These past few weeks we have been trying out the Bambo Nature nappies. Since having my daughter over two years ago we have tried and tested many nappy brands to find the right ones for us. 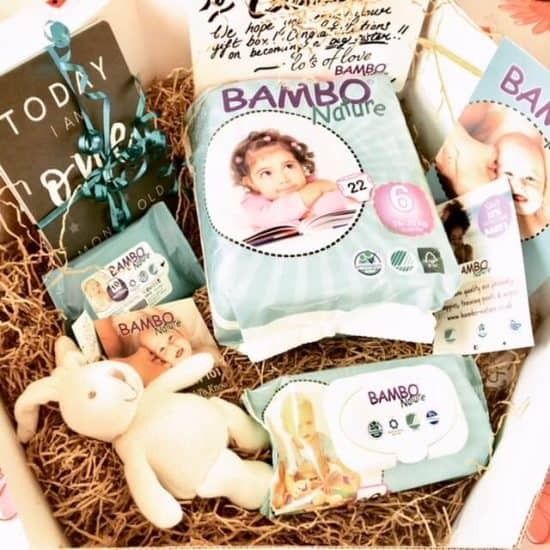 In fact until I was contacted by Bambo Nature I’d never heard of them, so I’m sharing our experiences with these eco-friendly nappies with you as a first time user. 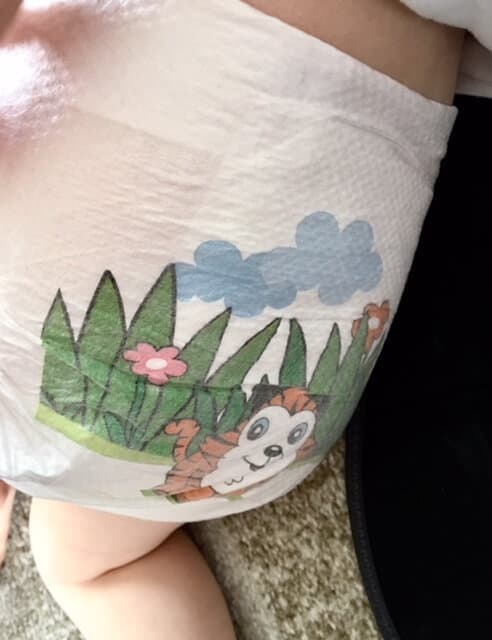 I will let you know now before I get into the review that they are amazingly soft and I don’t know how I havent found these nappies before! 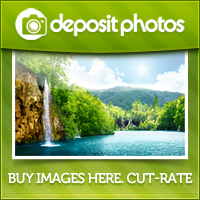 Bambo Nature products are marketed as premium and I couldn’t agree more. They have a wide selection of nappies and training pants for all sizes. Starting from Size 0 for preemies up until Size 6 (these are the size we got sent to try out). As well as nappies they also supply baby wipes. The baby wipes contain no perfumes, parabens, colourants, chlorine, alcohol, phenoxyethanol or any other potentially harmful ingredients. They are also accredited with the Asthma Allergy Denmark certification, proving that they are gentle on even a newborn baby’s skin. They pride themselves on the fact that all of their products are skin-friendly, eco-friendly and sleep-friendly. In fact in their production factory in Denmark 95% of all production waste is recycled. The fluff that is used in the Bambo Nature nappies is biodegradable. This doesn’t mean that they are any less absorbent. They discovered that by using a small amount of SAP (super absorbent polymers) it’s still possible to have a product that is just as absorbent and therefore high performing as well. By using innovation to develop Bambo Nature nappies and make them thinner but still high performing products gives many environmental benefits. One of these is that by using fewer materials to produce each product inevitably reduces the demand on the environments natural resources. Obviously as well as being eco-friendly, I like to make sure the nappy does the right job for us. So no leaks, very comfy, has a dry layer to keep the wetness away from the skin and of course is kind to baby’s skin. I must say that by testing these nappies over the past 3 weeks that the Bambo Nature one’s does all of this. Plus by having flexible sides they are perfect for an active 2 year old. 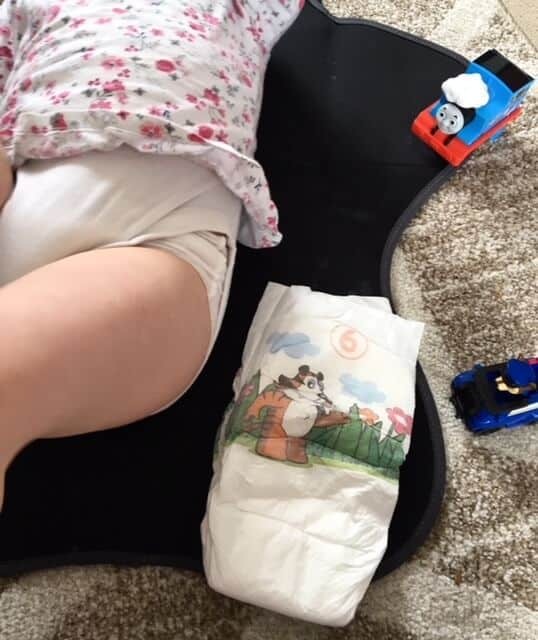 The nappies have a fun front and back design which keeps my daughter entertained while trying to change her. I’m really pleased with the super soft top-dry layer that holds away the wetness. 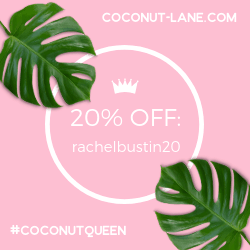 It’s a must when you have a toddler that sleeps between 10-12 hours each night (she has given up her day time nap though!) The nappy always seems fit to burst by morning but it in the 3 weeks we have been testing not one nappy has leaked. 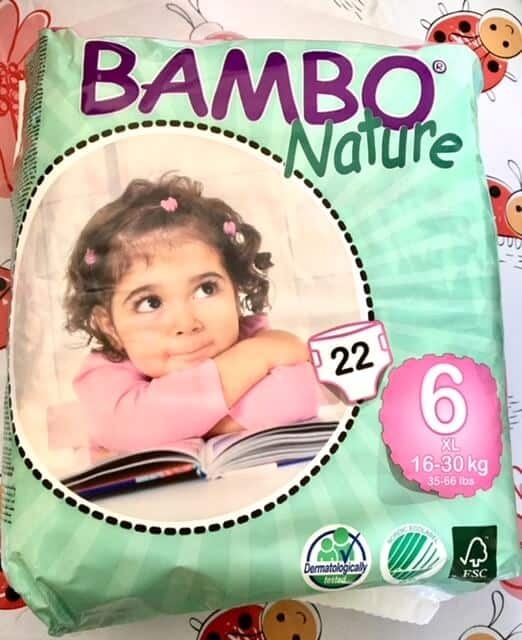 I love to think that using disposable nappies can be eco-friendly and I believe that Bambo Nature has found this formula. I will sure be using these eco-friendly nappies when my baby arrives in a few weeks. 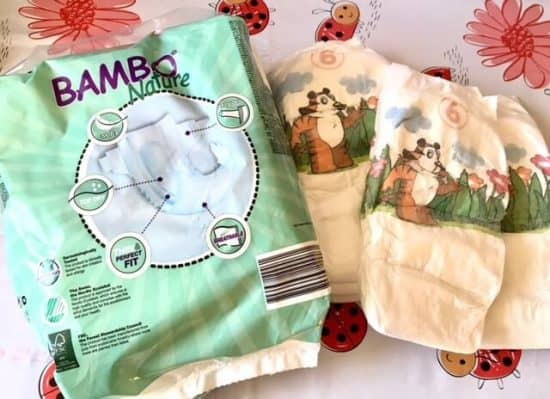 *We were sent a case of size 6 Bambo Nature nappies to try out, all thoughts and opinions are my own. I’d love size 1 for my new little niece/nephew due in July! I would love the size 6 for my 2 year old Lexie. I love that they’re eco friendly because my child doesn’t half go through them! I’d love to win these for a friend who is due to give birth next month! Size 1 would be perfect! Size 2 Mini. Addition to the family due later this year. For my son – size 3 please. Size 3 Midi please for the newest and cutest little member of our family. I would love to win for my son and size 6! My daughter knows that she may have a difficult time after the birth of her first baby so, although keen to use washable cloth nappies feels that it would be wise to start with these skin-friendly, eco-friendly nappies to help her cope at a time when she may be unwell! 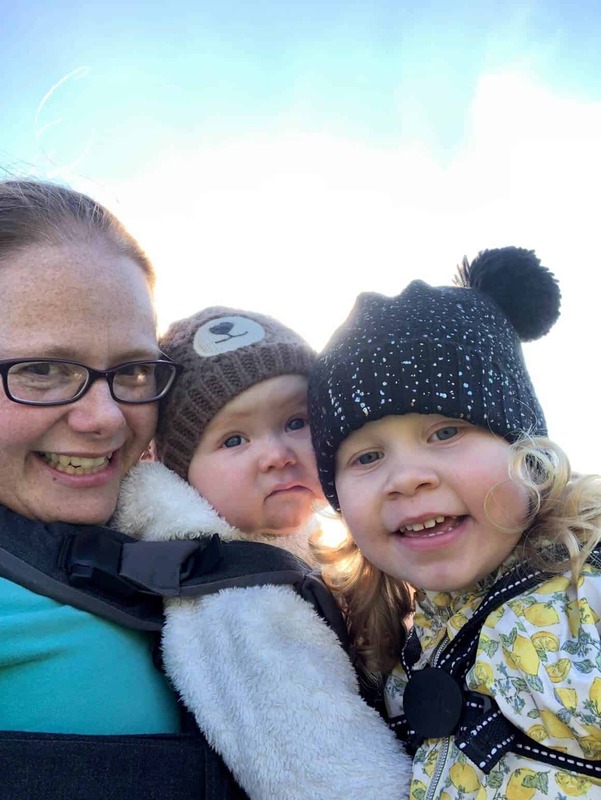 Her baby is due in September so it would give peace of mind to stock up on these comfortable, biodegradable nappies so thank you for your review. I’d like to win for my new baby, I’d choose size 3 as I already have a few size 1 and 2 and don’t know how big baby will be yet! I’d love to win these to help out my cousin and her baby, I’d need a size 6 Thankyou! My friend’s son – size 3. My nephew, size 4 please. 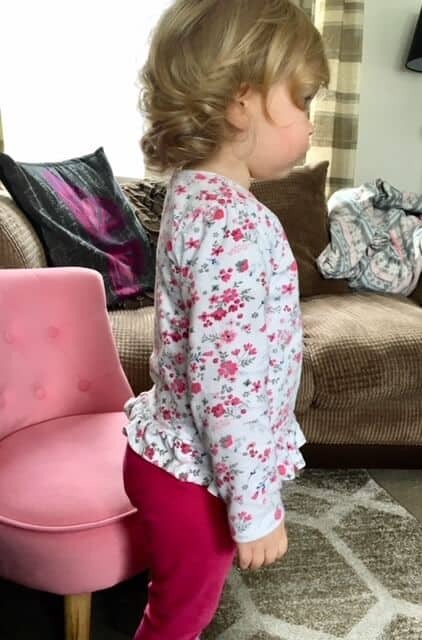 I have 2 in nappies, a newborn and a 19 month old but they sound great for my toddler, she was in cloth when she was tiny which I loved but I don’t much like the pull-ups she’s in at the moment, I’m sure they’re different from when my others were little, or maybe she just wriggles more! Size 4 for my daughter. Love them. They would be for my daughter, size 6! I would like to win this prize for my niece in a size 4. I’m due in Sept and would love size 1 to start me off. My friend’s baby – size 3. I would love to win these in size 4 for my daughter. Newborn for my best friend who is expecting her first baby on Thursday. These would be fab for my new baba. I don’t have any children but would love to win this prize to donate to charity, to go to Romania. I’d choose the largest size. For my daughter’s first baby due in September! Such a help in those early days and biodegradable too so you can continue using them without a troubled conscience! My daughter (baby due any day now!) will be interested in these. I think its size 4 !